Welcome to the NEW online ordering system. 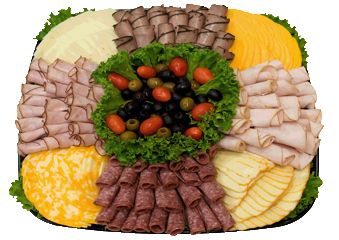 Here you can easily order party trays, holiday dinners, floral centerpieces and much more. To get started, simply select your appropriate store location above. Then you may select the appropriate category of items on the side bar to the left. If you are a returning customer we invite you to log in here. Once you have completed this quick and easy ordering process you can simply pick up your items at the store you've selected and be on your way! Thank you for your order and we look forward to seeing you in the store!